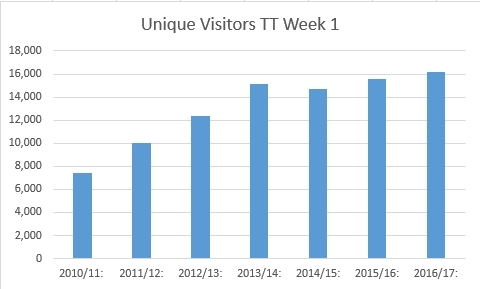 Every year we traditionally present the number of unique logins in Week 1 of Trinity Term. This can be viewed as a rough measure of the growth of a service. As you can see, apart from one year, growth has been steadily increasing year on year.